How can Media Music Now help me? This 60 second video provides a quick overview of our services. Alternatively, read our text version. Here is a brief overview of our services. There are 4 main services available through our website. A quality library of hand picked royalty free music. Perfect for corporate videos, film projects, presentations, TV and more. We have voice overs who are able to provide on hold messaging, corporate narration, audio book recordings and more. If you need a bespoke piece of music for your brand we have a team of composers ready to write music to your requirements. Using our audio production service we can create a professional soundtrack combining music, sound effects and voices, just like the homepage video. 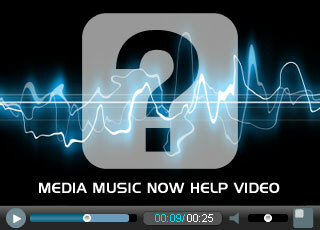 To get started, choose an option from our Media Music Now home page. If you need any help, look out for the help icons or click on help and support. Here you will find frequently asked questions and ways to get in touch.